Kelela delivered her emotionally intense debut album Take Me Apart last month, and now she's given album cut "Blue Light" the video treatment. The clip was directed by Helmi, and it finds the singer aglow in an icy blue cavern, slowly getting disrobed and encircled by her rapidly growing hair as she croons about both her guards and chains "falling down." 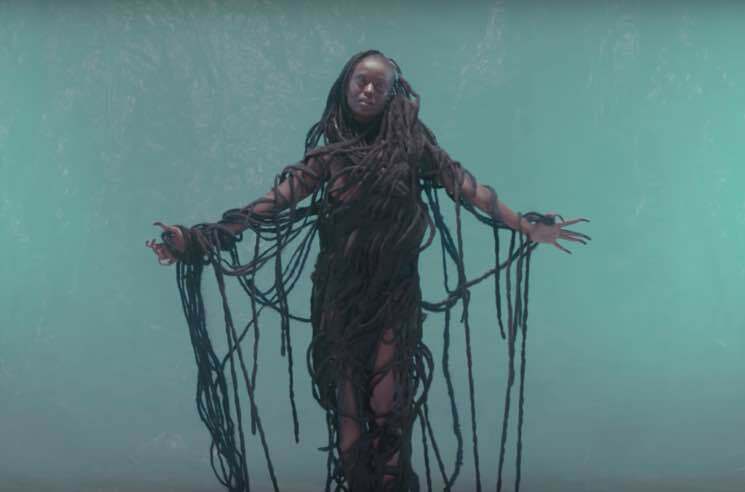 Watch the beautifully literal interpretation of the song come to life on screen in the "Blue Light" video below, and see Kelela's upcoming Canadian and world tour dates here.